The pictures were taken for science, but found a wider audience because they’re gorgeous. It’s hard to tell if he’s joking. But Droege’s job at the United States Geological Survey (USGS) is part-science and part–public relations. His clients are the bees, and he’s on a mission to persuade humans to love them as much as he does. Droege is a wildlife biologist at the Patuxent Wildlife Research Center in Maryland, where he is developing a program to inventory and monitor North America’s native anthophiles. Some of his duties involve fieldwork, which he enjoys so much that he describes a trip to analyze the bee fauna in South Africa’s Kruger National Park as a “vacation.” “I can’t think of anything that feeds my spirit more,” he says, “than to be doing uninterrupted natural history in a warm, sunny, bee-filled part of the world while others endure snow up north.” Fair enough. Even if you never trek along with him, Droege will do his darnedest to convince you that bees pausing above the dry landscape’s flowers are just as worth swooning over as the pride of lions stalking past. 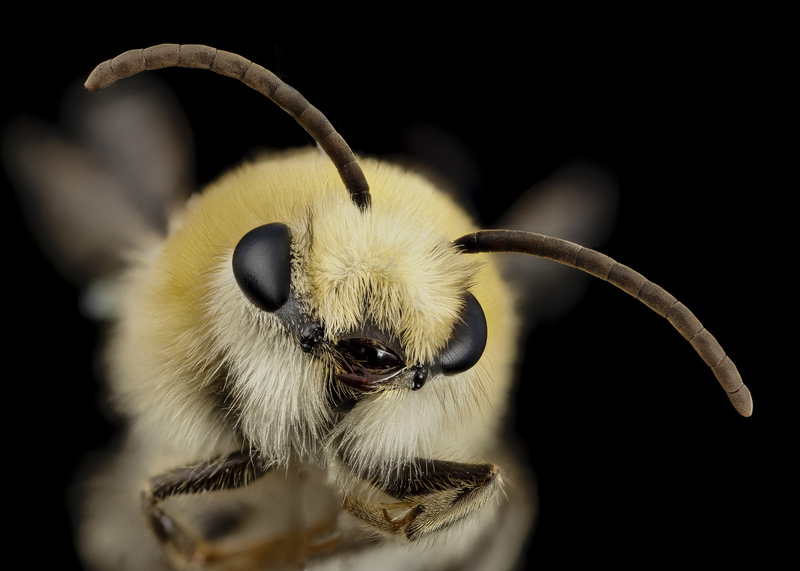 The glamour shots “reached an audience who would never read any of my papers,” Droege explains, and the photos attest to the dazzling diversity of bees—tiny, fuzzy, wide, long-nosed, emerald, aubergine. 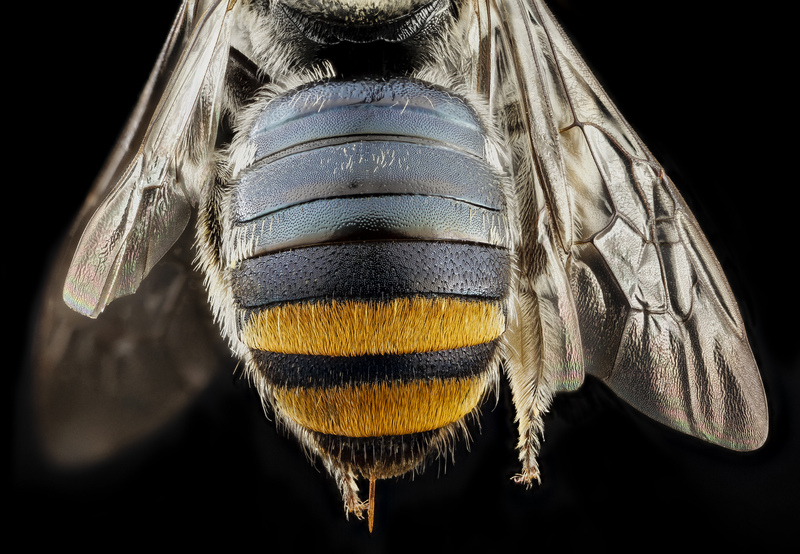 The photos have flitted across the internet, even landing on the r/woahdude subreddit, a home for images and audio “that make a sober person feel stoned, or stoned person trip harder.” The pictures are the hook, and once readers are snared, the captions remind us that bees and other familiar pollinators are just the tip of the biodiversity iceberg. Laurence Packer, a melittologist (that is, a bee expert) at York University in Toronto who collected that “Bee cute furry face” specimen, points out that experts also struggle to keep them straight. When he gives identification quizzes to students and professors, he often finds that even people who have been working in the field for years are fooled by other insects that look like bees, and bees that look like other insects. “There are 20,355 described bee species, and nobody on the planet can recognize all of them, for fairly obvious reasons,” Packer says. There are way too many for a single brain to recall—and they’ll surely be joined by more bees that will be documented in the future. Packer travels the world collecting species, and makes frequent jaunts to Argentina and Chile. (Droege occasionally tags along.) Sometimes, a region will be remote enough that Packer is fairly confident that nearly any species he finds will be unrecorded in the scientific literature. He collected some while driving down a mountain in the Atacama Desert, for example, in what he calls a “spectacularly weird” setting where a few patches of flowers gave way to a sea of sand, and a bunch of long, long-tongued, pale bees swarmed. Sometimes he’s not sure whether something has already been recorded until he compares the specimen against identification keys or performs DNA analysis. Packer’s lab has already found 200 or so species, and has another 150 manuscripts in the pipeline. A New Study Shows How Mushrooms Could Save Bees. Yes, Mushrooms.